Thank you for visiting our site. You can find all the information you need regarding the PTA here. We will be updating our site with all upcoming events so be sure to check back often. Our goal is to keep the parents and teachers informed with all events and activities. We are always glad to welcome anyone who would like to get involved and help. 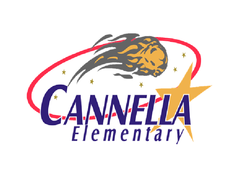 If you are interested in becoming more active and helping to make Cannella better for our children, please contact us. If you have any suggestions or ideas, we would love to hear them! If you have any questions or would like more information please feel free to contact us by E-mail (cannellapta@yahoo.com) or on Facebook. We would be thrilled to hear from you! Making Every Child's Potential a Reality!